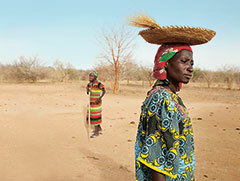 A woman searches for food in the dry and barren landscape near the village of Luga in the Guerra Region of Chad. 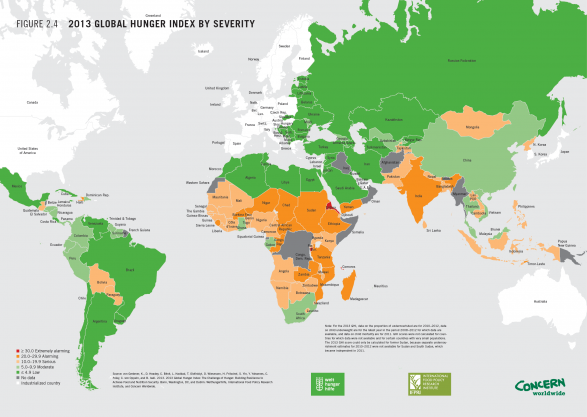 (Washington, DC)- Last week, the International Food Policy Research Institute (IFPRI) joined with partners Concern Worldwide and Welthungerhilfe in launching the 2013 Global Hunger Index (GHI) report—the eighth in an annual series. The report presents a multidimensional measure of national, regional, and global hunger. It shows that the world has made some progress in reducing hunger since 1990, but still has far to go. World hunger remains “serious,” and 19 countries suffer from levels of hunger that are either “alarming” or “extremely alarming. The theme of the 2013 GHI report is resilience in theory and in practice. The relief and development communities have long struggled to understand why some people fare better than others when confronting stresses or shocks. Resilience-building efforts are much needed to help poor and vulnerable people cope with hunger seasons, droughts, and other natural and manmade disasters. To help build resilience in ways that will boost food and nutrition security, the report calls for breaking down the silos between the relief and development communities and for focusing on approaches that contribute to the ability of people and systems to resist, absorb, and transform in response to shocks. Click here to access a full version of the report or search for #GHI2013 on Twitter to join the conversation online.